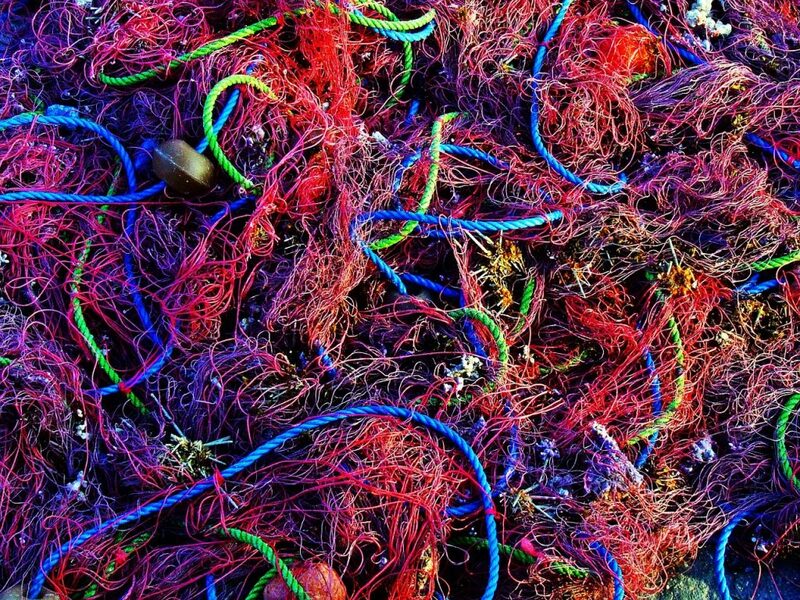 Nets in tangles: Fishermen hunched over a fire, mending their nets in this opening scene. But there’s a woman here, apparently in danger of drowning, and an unknown observer, who seems to do nothing. What’s going on? Synopsis: A Russian svengali inspires a Reagan era reject(or) to create a life. Phil Farrell’s breakout into Latino living unleashes comedy, horror and self-knowledge. With a killing heatwave and Chicago politics as the backdrop, personal and cultural contradictions converge with incendiary outcomes. Editorial comment: I’ve cut this off here, because the points I need to make are amply illustrated in this paragraph. The first problem we come across is point of view. Point of view—who is actually telling the story—needs to be consistent. If it jumps from one character to another without any kind of break in the narrative, you risk a) losing your readers—they simply won’t be able to follow who is doing what and b) losing your readers’ interest—they won’t try and struggle to work out who is doing what because they haven’t been given time to “bed down” with any particular character, so they won’t care. It’s beyond the scope of this site to go in to too much depth about PoV in general but this particular problem, of jumping from one PoV to another, is quite common, and usually termed “head-hopping”. What am I talking about? The first two sentences (which should be a single sentence, with a comma after lay instead of a period) appear to be from the perspective of a woman, possibly injured or trapped—we don’t know yet—hoping for rescue. The next sentence, without even a paragraph break, is from a completely different perspective, that of a man looking down from above. We were thinking about the woman, but now we leave her, chained to a rock with the tide coming in or whatever she’s doing, and jump to someone else. We have no idea of the connection between these two people, if indeed there is one. So we’ve been wrenched away from the girl. We try and forget about her and now follow the man. There are lots of descriptive passages about what he is seeing, what he is doing. (“In that empty night” seems a misnomer, because there seems to be a lot going on, music, a couple of men frying fish on a fire, mending their nets.) “Into the haze” he descends. This threw me. What “haze”? He’s been looking down on the scene from above without any difficulty. Is it the haze from the fire? Perhaps just say “smoke” then, because haze seems to imply some other kind of atmospheric condition. I’m afraid I’m lost completely with the next sentence “A step from the edge: squat, reach, anchor into inclined push-ups sinking and rising with the waves.” I just simply don’t know what this sentence means. It’s some kind of movement being described, obviously, but “anchor into inclined push-ups”? I don’t know. I can’t visualize what this means. Someone doing push-ups on a beach, in and out of the surf? Why would anyone do that? In the next sentence, the woman appears again, or does she? I don’t know what “the last monolith” is referring to. Some kind of rock, slab of concrete? Why is it important? But anyway, a glimmer of light from “their” lantern (not previously mentioned) finds her face and lights up her “smile”. Hang on. This can’t be the same woman. The previous girl was chained to a rock and about to drown. Why is she smiling? Is it that her savior has now arrived? Seemingly not, because he doesn’t seem to do anything to save her. He disappears back up the hill clutching a biro that appeared from nowhere. It’s a shame, because I don’t like to admit when I’m beaten, but this is just too opaque for me. I have no real clue what is going on in this scene. The first few mistakes with sentence structure and head-hopping put me on notice that this is not written as well as it might be. I don’t think an agent would read further than that. I did, but I got lost in a confusing muddle of half-understood sentences. Not for me, I’m afraid. That said, if the grammar and structural problems were fixed up, it might appeal to some agents. It’s a subjective business, beyond the basics of good writing craft, so don’t ever send it to one agent and take their verdict as gospel.